Nick Robinson is a handsome emerging actor known for the starring ‘Jurassic World‘ with Bryce Dallas Howard. Till date, he has starred in numerous memorable TV series and movies that earned him a great deal of attention. He was even nominated for the Best Young Actor at the young Entertainer Awards in 2015. With his charming smirk in all the TV series and movies, he has grabbed the attention of thousands of people around the world. Along with his popularity, his fans are eager to know more about his professional as well as personal life. Here are some interesting facts that you may not know about the handsome hunk, Nick Robinson. 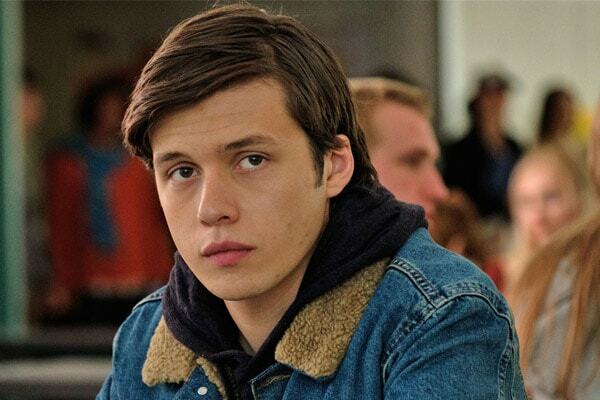 The ‘Love Simon’ movie star Nick Robinson was born on 22nd March 1995. Born to mother Denise Podnar and Father Michael Robinson in Washington, Robinson reached 23 years old in 2018. Nick Robinson performed a short role in Charles Dickens’ play ‘A Christmas Carol‘ at the young age of 11. Moreover, he also played in the musical ‘Mame‘ in the same year earning some money. However, Robinson began acting at age 9. In a young age of 23 years old, Robinson has already amassed millions of dollars in his bank account. Nick Robinson’s net worth is estimated to $4 million. And all the credits goes to his dedication in the acting field. Robinson played the role of a closeted gay student named Simon Spier in the movie ‘Love Simon.’ His role in the movie made his fan to have a misconception that he might be gay. But in an interview with Ellen DeGeneres, he cleared that he is, in fact, straight. Is Nick Robinson in a relationship? Probably, this question might be in every girls’ mind who are desperate to date him. The happy news is Nick Robinson is still single. Yes, there are rumors swirling in the media that he is dating Chloe Moretz. But there is no point on it as no one could confirm it yet. Nick Robinson is the oldest son of his parents. He has five younger siblings. Also, he is the half-brother of his father’s two kids from his previous marriage. The Ben Parish of 2016’s movie ‘5th Wave’ Nick is active in Instagram and Twitter. He uses Instagram and Twitter with the name @therealnickrobinson and @nickyrobo respectively. Initially, Nick Robinson was considered to enact the role of Augustus Waters in the movie ‘The Fault in Our Stars.’ But later the role was ultimately awarded to Ansel Elgort. Nick Robinson has an impressive height of 6 feet and 1 inch. Similarly, he has a fit body with a weight of 61kg/134 lbs. Nick has a great passion for mountain motorbikes. He owns a Yamaha motorbike. The emerging Hollywood Star Nick Robinson is not a shining star yet. But he loves hanging out with hot celebs. Robinson is seen hanging out with celebrities like Colton Hayes and Brenton Thwaites in red carpet events.